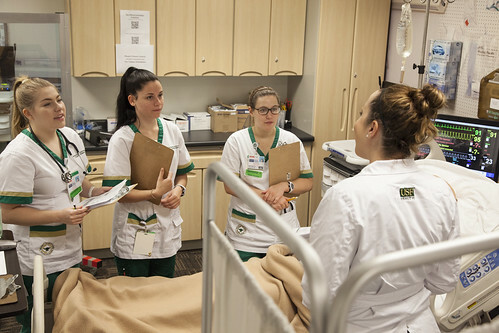 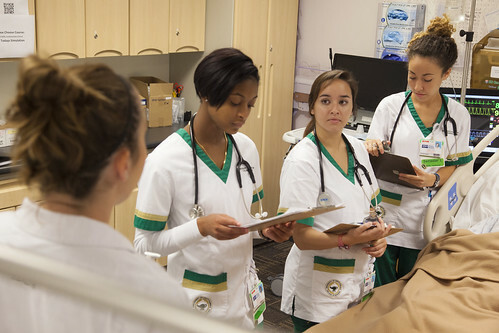 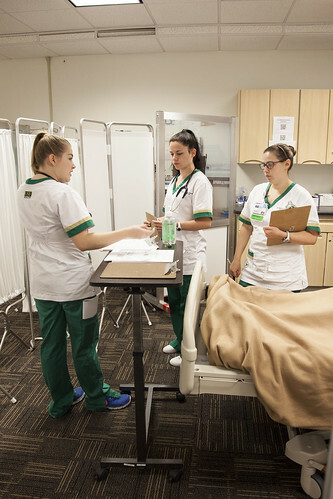 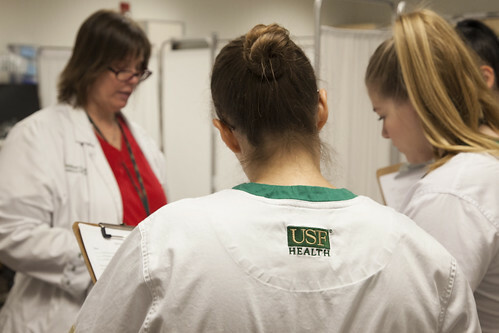 On August 10, the USF Health College of Nursing held a special ceremony to name the Dean’s Suite to honor the memory of former dean Patricia A. Burns, PhD, RN, FAAN. 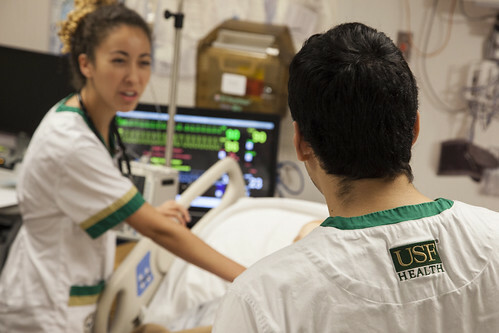 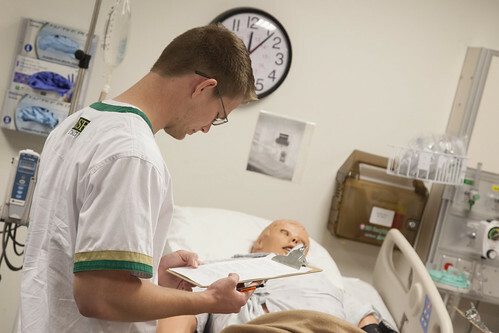 In addition to serving as the dean of the College of Nursing from 1997 to 2010, Dr. Burns played a critical collaborative role in establishing what is now USF Health, which is the partnership of the University of South Florida Morsani College of Medicine, the College of Nursing, the College of Public Health, the College of Pharmacy, the School of Biomedical Sciences, the School of Physical Therapy and Rehabilitation Sciences, and the USF Health providers network. 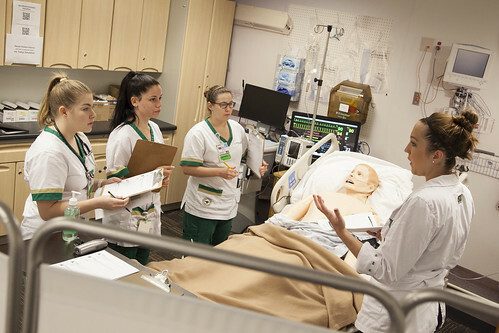 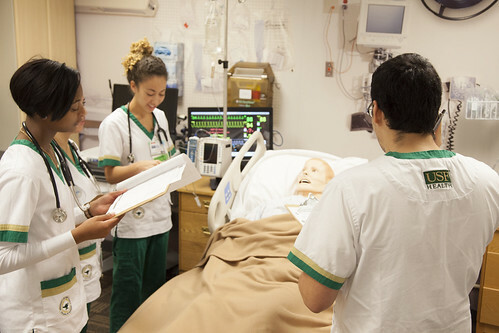 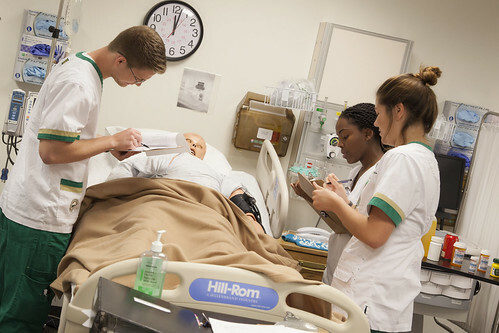 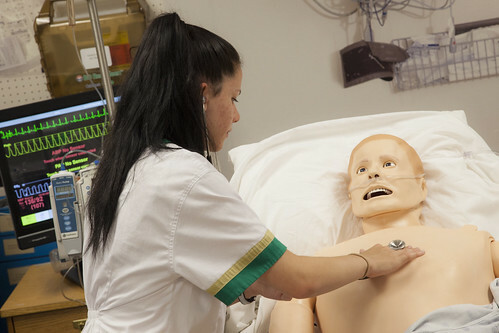 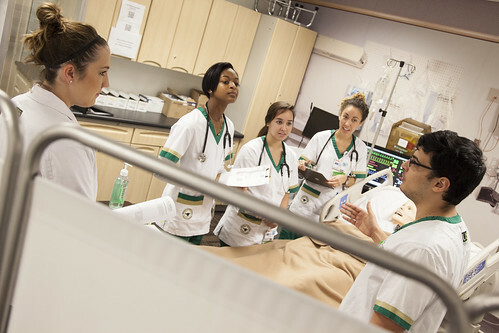 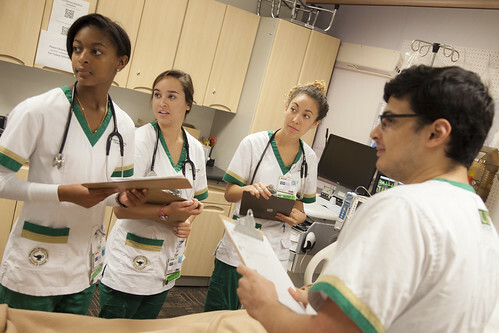 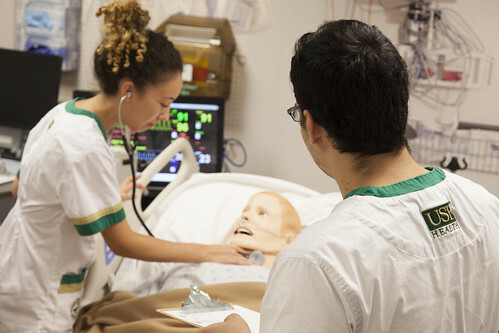 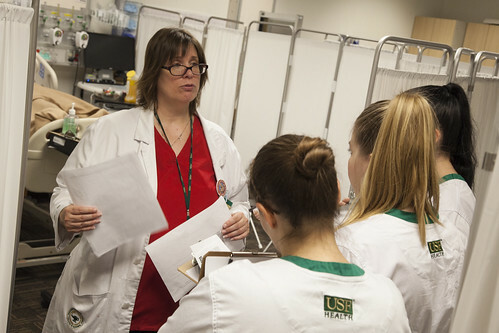 During her tenure as dean, Dr. Burns guided many accomplishments, including the creation of the Doctor of Nursing Practice (DNP), Nurse Anesthesia, and Clinical Nurse Leader (CNL) advanced degree programs; the launch of the first USF Nurse Research Center; and the opening of the state-of-the-art College of Nursing building in 2005. 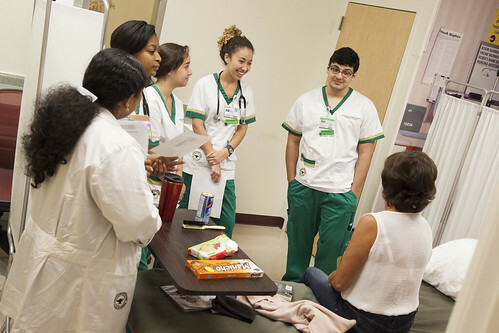 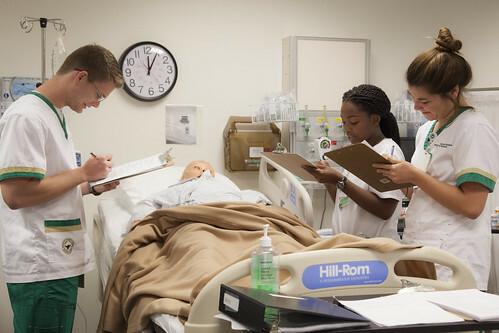 Dr. Burns helped create the Clinical Collaborative Initiative, a partnership with Tampa Bay health providers, which allows students to gain clinical training and earn placement after graduation. 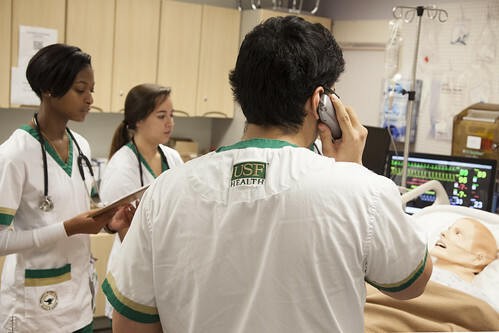 She also fostered fundraising for the college and served as a board member of the USF Foundation and the USF Alumni Association. 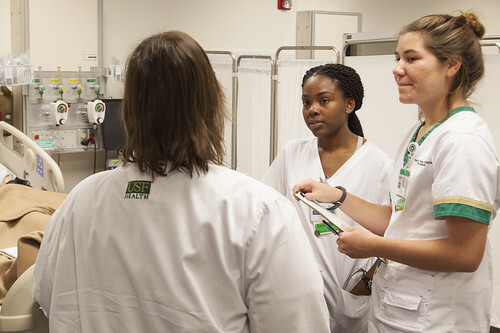 Those in attendance for the Dean’s Suite naming ceremony in the College of Nursing building included Charles J. Lockwood, MD, MHCM, dean of the Morsani College of Medicine and senior vice president of USF Health; Victoria L. Rich, PhD, RN, FAAN, current dean of the College of Nursing; Kevin Sneed, PharmD, dean of the College of Pharmacy; members of Dr. Burns’ family (husband Stephen Scherman, son Robert Burns, and Karen, James, and Jonathan Schweitzer, daughter, son-in-law, and grandson); Tampa General Hospital nursing staff who cared for Dr. Burns; and colleagues throughout USF Health. 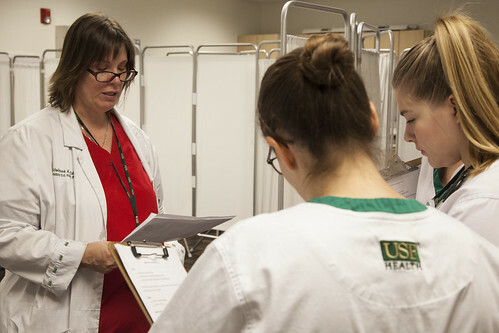 Following her retirement as dean in 2010, Dr. Burns continued to teach and work in the community. 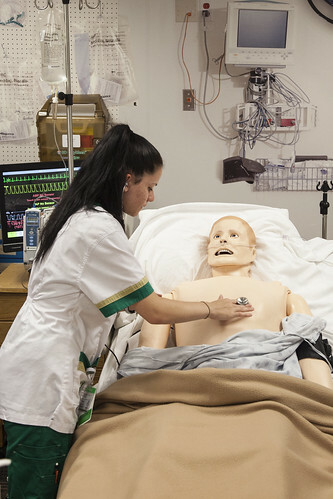 She passed away on Sept. 21, 2016.